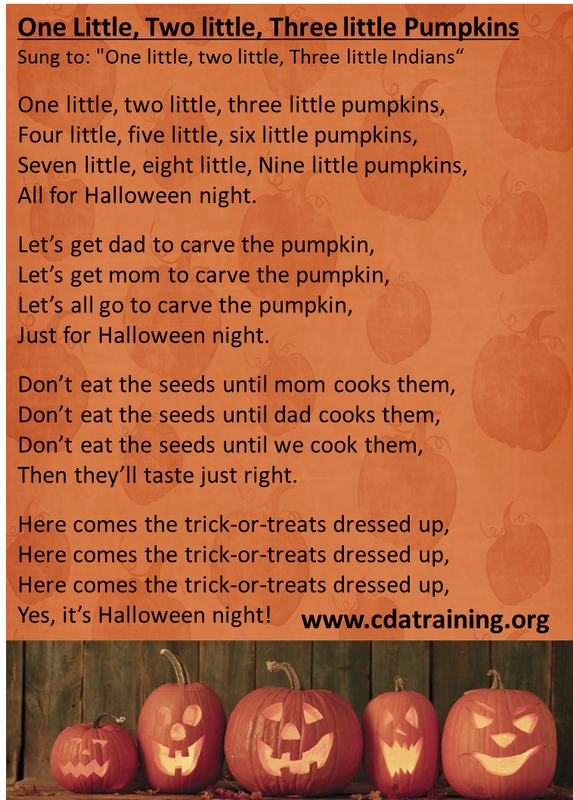 * Lesson plan objectives and assessments can be adapted to use this activity with mobile infants and toddlers. 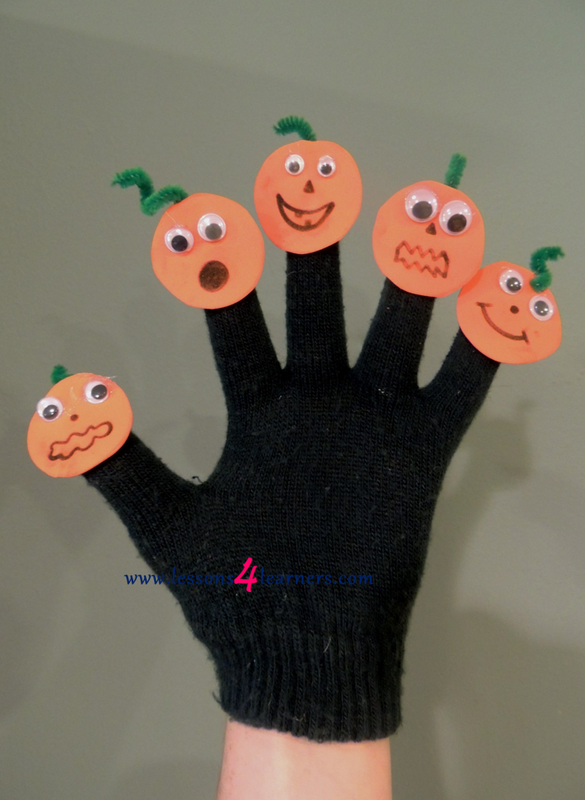 Prepare for the activity by creating your pumpkin glove. Cut out 5 small circles out of the foam sheet or felt. Glue them onto the fingertips of the glove. Finalize the faces using the googly eyes and markers. Find a comfortable spot for the activity. Observe and record how the child reacts to the finger play and song. Did they move their arms and legs? Did they make any verbalizations or facial expressions?